NEXT ARTICLE Who are the top 10 player names on LFC's new away shirts? 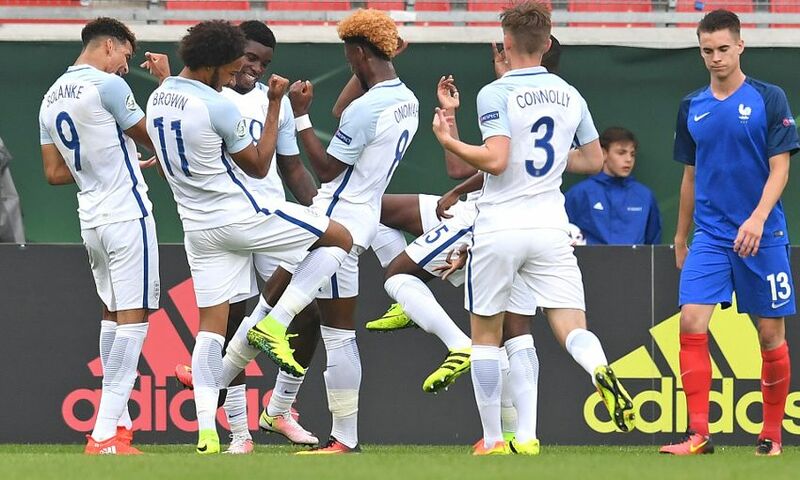 Sheyi Ojo set up both goals as England U19s got their European Championship campaign off to a winning start by beating France 2-1 on Tuesday night. In just the third minute of the Group B clash in Germany, the Liverpool winger’s testing cross into the middle forced an own goal to put his side ahead. A pass from Ojo then released Dominic Solanke in the ninth minute to race clear and coolly slot past the goalkeeper, doubling the early advantage. The French responded shortly after the half-hour mark through Jean-Kevin Augustin, but Aidy Boothroyd’s young England team preserved the victory. Ojo, who was withdrawn on 65 minutes, will now hope to be involved in England’s second game of the tournament – against the Netherlands on Friday.